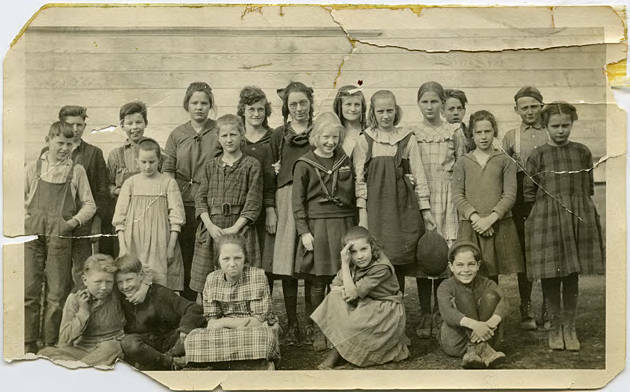 Black and white image of a number of children standing outside of a building. Some students are seated in front of the group, including two boys who appear to be almost wrestling. The girls wear knee-length skirts, many made of plaid material, while some wear pinafores or sailor style shirts. The boys wear overalls or pants with suspenders. 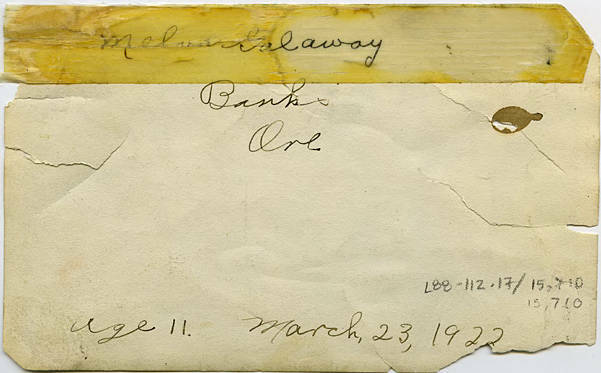 [back] [pen] Melva Galaway, Banks, Ore. Age 11, March 23, 1922.